When there's one dish that Filipino should be proud of, it's Cebu's most celebrated pig, the Cebu Lechon! This iconic dish is always present in every fiestas, birthdays, anniversaries or whatever gathering that a family or friends are having. Good news to all your Oponganons friends! The Mactan Newtown is hosting Lapu-Lapu City's first Lechon Festival! 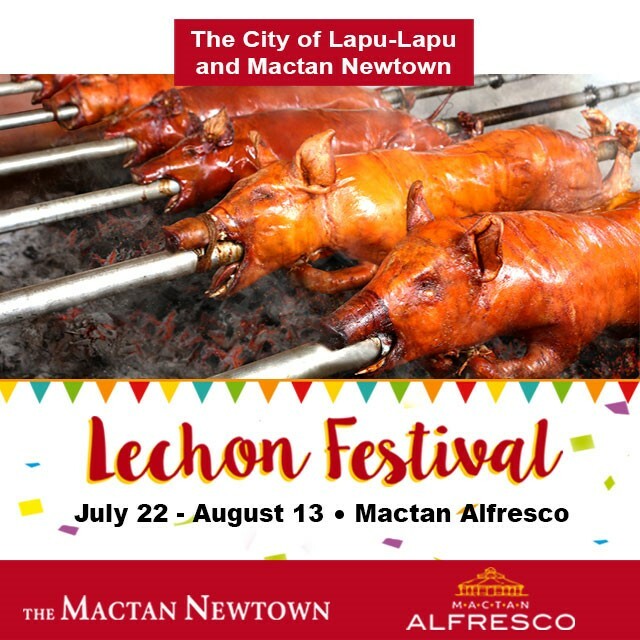 To celebrate the local dish, along with the history, art and skill that goes into the Cebuano Lechon, The Mactan Newtown, in partnership with the City Government of Lapu-Lapu, is hosting its first ever Lechon Festival. August 4 (Main Event) : Streetdance Competition, Cooking Demos, Live Performances & Grand Lechon Parade. Running from July 22 to August 13 at the Mactan Alfresco, a 500-seater dining hall inspired by Singaporean hawker centers inside the 30-hectare township, the grand food festivity gathers Cebu’s top lechon-makers in a three-week long celebration aimed at giving tourists and local folks alike a genuine Cebuano gastronomic and cultural experience. “This festival really puts the spotlight on the Cebu lechon, a world-class and truly Filipino dish hailed by many as the world’s best pork dish. We have gathered Cebu’s finest lechon-makers in Mactan Alfresco as we look to share this unique culinary experience to local and foreign tourists, while immersing them to the rich Cebuano culture through cultural performances and fun activities,” says Kevin Tan , senior vice president and head of Megaworld Lifestyle Malls. A wide selection of lechon dishes from Cebu’s top lechon-makers plus amazing deals on the Cebuano delicacy will greet guests at Mactan Alfresco during the festival’s run, while live entertainment featuring musical and cultural performances will provide an added treat to dining guests every evening. Mactan Alfresco is also offering an even more immersive way of experiencing the world-famous delicacy through its very own Lechon Pit. Guests can witness firsthand how the lechon is made—from seasoning to roasting at the coal pit to being chopped and served on their own plates. To learn more about the history of Cebu, educational installations and interactive displays about Lechon will also be placed around in the venue. 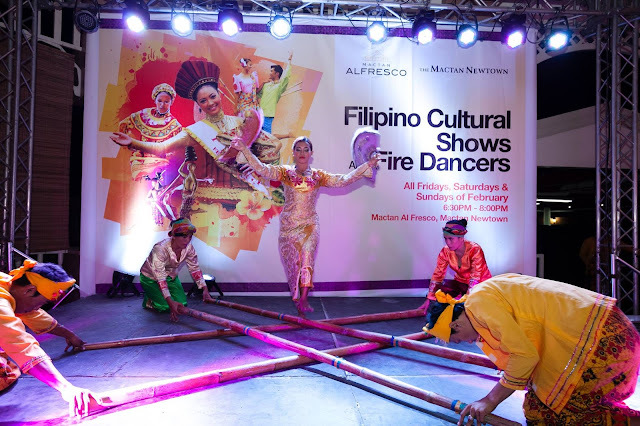 The celebration kicks up a notch on July 29 and 30, where guests can take part in traditional Filipino games like habulang biik, pabitin, palo sebo and more, and bring home exciting treats and prizes. Meanwhile, another must-see culinary spectacle awaits guests on August 3, at the Lechon Cooking demonstration, where Cebu’s finest lechon-makers are expected to battle it out for a chance to be hailed as the province’s best. Highlighting the festival is the much-awaited Grand Lechon Parade, happening on August 4. Culinary schools and representatives from barangays will also take part in cooking demos featuring different and never-seen-before Lechon recipes. To further boost the festive mood, a street dance competition and live performances will also be held at the venue. 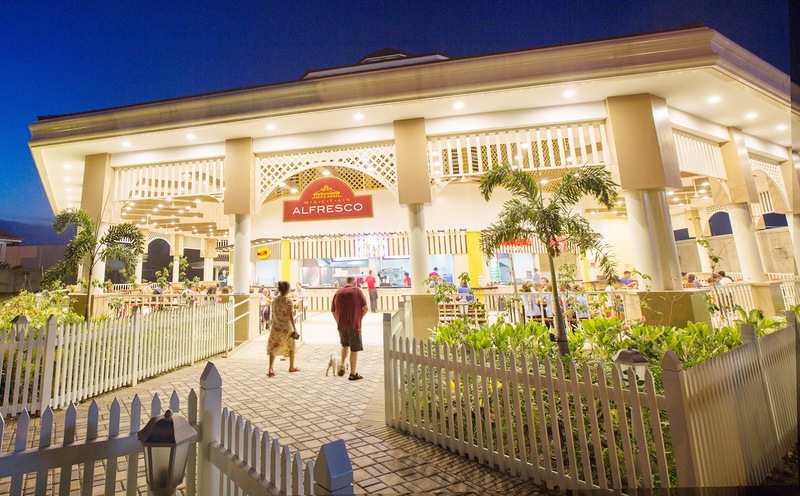 The Mactan Newtown is a 30-hectare township development that has its own beachfront. Located along the M.L. Quezon National Highway (also known as the Mactan Island Circumferential Road) and a few minutes away from the Mactan-Cebu International Airport, The Mactan Newtown is home to award-winning residential condominium and office towers, shops, schools, hotels, mall, and commercial hubs, as well as leisure and recreational facilities.